The AVE450D series isolated DC-DC converter is a dual output model designed specifically for RF power amplifiers in small-cell, low power and remote radio head (RRH) telecommunications applications. It provides a 28 Vdc output that can deliver up to 12 amps and a 5.5 Vdc output with a 20 amp capability. 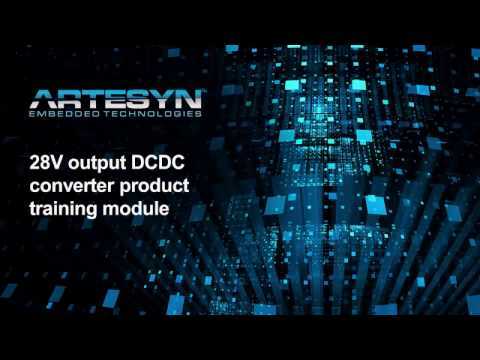 The converter accepts a wide range input of 36 to 75 Vdc. Rated at 450 watts, it can operate over an ambient temperature range of -40 to 85˚C, continuing to deliver full power up to a baseplate temperature of 100˚C. The 28 V output can be trimmed from 14 to 33 Vdc, while the 5.5 V output offers a 4.5 to 12Vdc trim range, to meet a broad range of application needs. The converter has no minimum load requirement, uses fixed-frequency switching and meets the conducted emissions requirements of FCC Class B and EN55022 Class B with an external filter. Based on a high power density design that incorporates a thermal baseplate, AVE450D series converters have an industry standard half-brick footprint and pin-out, with an installed height of just 0.5 inch (12.7 mm). They have a thermally optimized layout that is suitable for either conduction or forced air cooling and depending on the model, offer full load conversion efficiencies of up to 92%. Standard features include input undervoltage lockout, remote On/Off and differential remote sense, as well as comprehensive protection against overtemperature and output overcurrent or overvoltage conditions. 2.300" x 2.400" x 0.500"